We'll Always Remember Tribute site to the late greats: Elvis, Jimi, Jim, Janis, Bob, even Sid! Known as "Mr. Guitar," Chet Atkins is the most recorded solo instrumentalist in music history. Without Chet Atkins, country music may never have crossed over into the pop charts in the '50s and '60s. Although he has recorded hundreds of solo records, Chet Atkins' largest influence came as a session musician and a record producer. During the '50s and '60s, he helped create the Nashville sound, a style of country music that owed nearly as much to pop as it did to honky tonks. Electric & Steel Guitarist Buddy Merrill's site is packed with information about the early days of electric and steel guitar. Buddy Merrill's performances playing a Fender Stratocaster on the most popular and longest running American Musical Show in American television history is considered to be the key turning point for Fender. B B King:"I liked Elvis a lot. I saw him as a fellow Mississippian and I was impressed by his sincerity," said King who toured Australia in May '97. "I thought he was honourable when he came to play The Goodwill Revue, a yearly benefit in our home town for needy black kids. When Elvis appeared he was already a big, big star," said the legendary bluesman. "Remember this was the fifties, so for a young white boy to show up at an all-black function took guts. I believe he was showing his roots. After the show, he made a point of posing for pictures with me, treating me like royalty. He'd tell people I was one of his influences." B.B. King has influenced countless numbers of musicians, such as Buddy Guy, Eric Clapton and Stevie Ray Vaughan, just to name a few. Elvis Presley(1935-1977) has sold more than one billion records worldwide. On August 12, 1995, RCA and the Recording Industry of America (RIAA) posthumously awarded to Elvis 110 gold, platinum and multi-platinum albums and singles, the largest presentation of gold and platinum records in history. Elvis stands at number one on the list of certifications, with more than twice as many certifications as any of the nearest contenders As of August 1992, the Beatles came in at number two with 41 titles, followed by the Rolling Stones with 39, Barbara Streisand with 37 and Elton John with 37. King said another 'white boy' who had "totally moved me" was the late great blues guitarist Stevie Ray Vaughan. "He was another white boy nurtured by black music who kept faith," he said. "Stevie played with incredible technique and genuine soul and was by far the boldest guitarist of his generation. What Elvis did for rock and roll, Stevie might have done for the blues." 1983 Guitar Player awards won by SRV: Texas Flood, "Best Guitar Album"; Stevie Ray Vaughan, "Best Electric Blues Player" and "Best New Talent". 1991 Governor Ann Richards proclaims October 3 (his birthday) as "Stevie Ray Vaughan Day" in the State of Texas. In 1983, Stevie Ray Vaughan and Double Trouble (bassist Tommy Shannon and drummer Chris Layton) rescued numerous guitar freaks from the synthesizer band doldrums of the 1980s with their incendiary, guitar-blazing debut recording Texas Flood. Prior to the release of the inaugural album, Vaughan had played on David Bowie's hugely successful 1983 album Let's Dance. When he blew off touring with Bowie, preferring instead to play his own music, the Texas-born guitarist caused a stir of curiosity (and not a small amount of admiration). Vaughan combined rough-edged blues with the sonic fire of his Jimi Hendrix influence, melding the sound with his own musical drive to produce a hybrid form of electric blues rock that hinted at more than a stereotypical retro rehash. 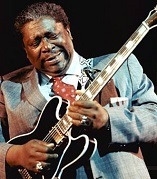 Vaughan generously tipped his hat to the blues predecessors he admired (Albert King and Buddy Guy, among others) but he also invested intense personal feelings into his music, insuring its reception as an original art form. 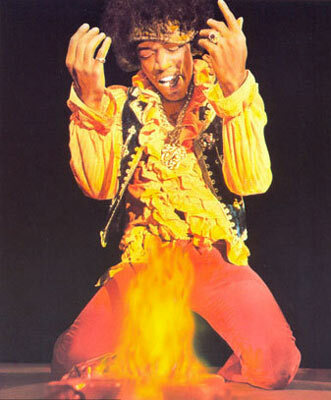 More on Jimi Hendrix at his own dedicated Guitarsite page. Steve Vai made his Epic label debut on September 17, 1996 with Fire Garden, a new solo album produced, arranged and engineered by Steve himself. Featuring 18 new tracks includ- ing the four-part "Fire Garden Suite," the album is the latest of six successful solo recordings for the man Frank Zappa once dubbed "my little Italian virtuoso." Vai has been touring non-stop since the release of Fire Garden, completing over 185 shows on an extensive world tour that has reached five continents. Since his remarkable professional career began with Zappa in 1980, through his work with David Lee Roth, Whitesnake and others (not to mention his memorable performance as the Devil's guitar player in the Walter Hill movie Crossroads), Steve Vai's worldwide sales as a solo recording artist total more than 2.7 million and over 10.8 million if one includes his work with other artists. 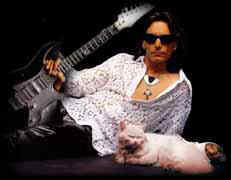 In addition to a multitude of worldwide guitar honors, Vai has earned three Grammy nominations, including his 1993 win for Best Rock Instrumental Performance on the critically acclaimed album Zappa's Universe. Whether as guitar player, producer, film compo- ser or orchestrator, Steve Vai continues to be an exciting and visionary musician. Van Halen This photo shows Edward's original striped Strat-style guitar and was his main instrument for the first several albums and tours. The Linn Ellsworth-carved body was a second (labeled as such because of minor imperfections in the wood) purchased from Boogie Bodies sometime in 1975 or 1976 for $50, and the neck (another second cut by Ellsworth) was purchased for $30. Boogie Bodies was a small guitar company based in Azusa, CA (it later moved to San Dimas, CA) co-owned by Ellsworth and Wayne Charvel. Ellsworth, a cancer researcher in Seattle, WA, cut necks and bodies in his spare time, sending them down to Charvel, who manned the shop. The guitar was featured in our list of Cool Electric Guitars. Dubbed "Shark" by Edward, this was one of his main guitars in the club days. Shortly after purchasing the guitar, Ed took it to Wayne Charvel and asked him to paint it black. Charvel said he could do it, but wouldn't be able to tackle the project for at least a month or more. Ed didn't want to wait, so he decided to experiment on his own. He began by drilling a series of holes in the rear of the body. He then used a hacksaw to cut out the shape created by the holes, giving the guitar a rather deformed Flying V-look. The axe was then painted maroonish-red, with silver stripes. What Edward didn't realize was that his hack job went on to inspire an entire line of Charvel Guitars. With their 1978 eponymous debut, Van Halen simultaneously re-wrote the rules for rock guitar and hard rock in general. Guitarist Eddie Van Halen redefined what electric guitar could do, developing a blindingly fast technique with a variety of self-taught two-handed tapping, hammer-ons, pull-offs, and effects that mimicked the sound of machines and animals. It was wildly inventive and over-the-top, equaled only by vocalist David Lee Roth, who brought the role of a metal singer to near performance art standards. Roth wasn't blessed with great technique, unlike Eddie, but he had a flair for showmanship, derived as much from lounge performers as Robert Plant. Together, they made Van Halen into the most popular American rock & roll band of the late '70s and early '80s, and, in the process, set the template for hard-rock and heavy metal for the '80s. Throughout the '80s, it was impossible not to hear Van Halen's instrumental technique on records that ranged from the heaviest metal to soft-pop. Van Halen was influenced by: Cream, Led Zeppelin, Jeff Beck, Kinks, Jimi Hendrix and Eric Clapton. Joe Satriani, born 1956, is a technical wizard on the instrument, supported himself before his solo recordings struck pay dirt as a guitar teacher. Some of the students included Steve Vai, Kirk Hammett of Metallica and Larry Lalonde of Primus. What separates Satriani from most technically gifted guitar virtuosos is that he treats a song as a song, not as an excuse to shred. Joe's equally capable of fast flights of blinding technique as well as sweet, lyrical passages. By mid-1987 he completed his ground breaking Surfing With the Alien, a diverse and adventure-some collection that announced the arrival of a new talent, stormed the best-selling charts. It was the first rock instrumental album in years to chart in the Top 30 on Billboard's Top 200 Albums, and ultimately sold more than two million copies, making it one of the most successful instrumental albums of all time. Joe Satriani was the one that organized the famous G3 Tour which featured three guitar virtuosos and a special jam at the end. Joe has enlisted a variety of big name guitar players for G3 including Steve Vai, Eric Johnson, Kenny Wayne Shephard, Steve Morse, John Petrucci, Steve Lukather, Robert Fripp and many more. The U.S. tour began on June 1997. Learn more about the G3 Tour. "When I first heard Kenny Wayne Shepherd, I thought, 'Uh-oh, another Stevie Ray Vaughan clone,'" recalls Steve Vai, who watched the young guitarist closely throughout last summer's G3 tour. "Just like the first time I heard Stevie Ray, I thought, 'Uh-oh, another Hendrix clone.' I was equally wrong both times. Kenny has the depth and insight to make what he does emotionally powerful and remove it miles from clonedom. He has that elusive 'it.'" 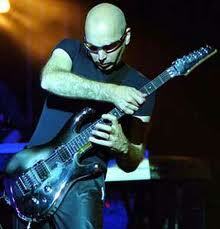 "He is a real talent," adds Joe Satriani. "Anyone can practice guitar, learn some licks and make believe that they're an entertainer, but to be a real natural, to be great at your instrument-to be able to walk out on any stage and immediately plug into the musicians who are playing, plug into the audience, then find your spot and be yourself-that is a real talent. And that is what Kenny has." Read more about the influential band that popularized the alternative music genre - Nirvana (1987 - 1994). Also features information on Nirvana's iconic singer/songwriter guitar player Kurt Cobain. Carlos Santana's group was formed in San Francisco in the mid-'60s and first gained recognition in the same dance halls that hosted the psychedelic rock groups of the era, although, with its Latin and African roots, Santana never quite fitted in with the psychedelic sound. The 1970 Abraxas album featured Black Magic Woman. Carlos Santana led the band as well as making solo recordings. He was instrumental in popularizing the guitars of Paul Reed Smith, but he was also known for playing other brands. One of his favored guitars from the seventies was the Gibson L6S which has been reissued.